You wouldn't know it from the above photo but Briscoe did win this bout. After a hellish first round, suffering two knockdowns and a near knockout loss, Bennie roared back in round two for the KO. 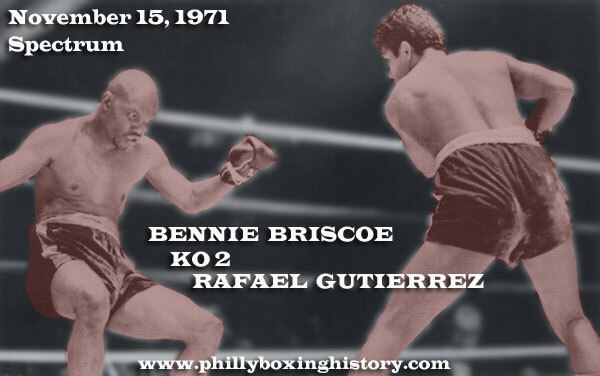 Although some say a low blow did the damage, Briscoe's heavy body attack followed by a hard right cross and a thumping Philly left hook put the dangerous Gutierrez out of the fight at 2:17. 7,319 fans watched Briscoe score his 33rd career knockout, in this 23rd Annual Deborah Hospital Benefit Boxing Show at the Spectrum.